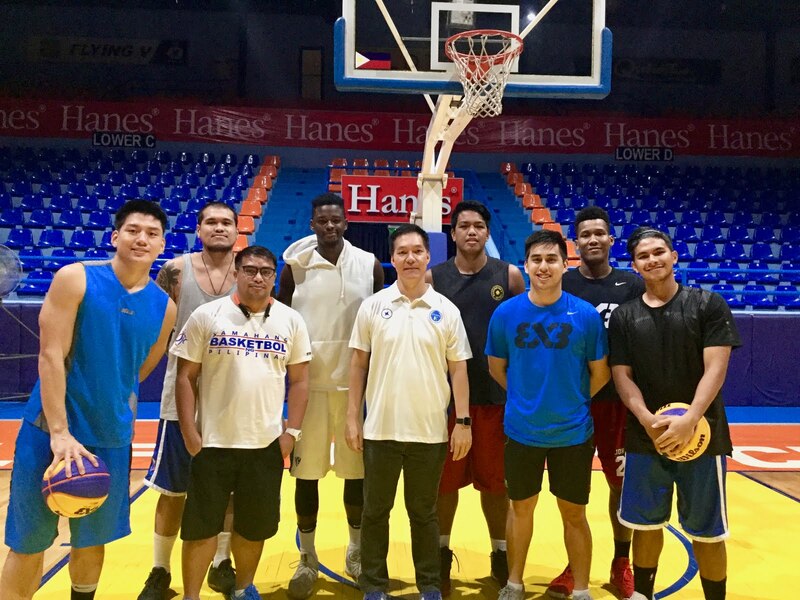 The team that will represent the country in the upcoming Fiba 3x3 World Cup in Nantes, France is already star-studded with Kobe Paras, JR Quiñahan, Kiefer Ravena, and Jeron Teng in the line-up not to mention its multi-titled head coach Eric Altamirano. Joining in the preparations are quite a few current and former college basketball stars who are just as happy to be here. Participating in the practices are Bright Akhuetie of the University of the Philippines Fighting Maroons, former University of the East Red Warrior Moustapha Arafat, the Arellano University Chiefs’ Kevin Gabayni, and the Emilio Aguinaldo College Generals’ Sidney Onwubere. With the guys at practice!